Plexus Shaders is a Google experiment created using ThreeJS, Vertex, and Fragment Shaders. 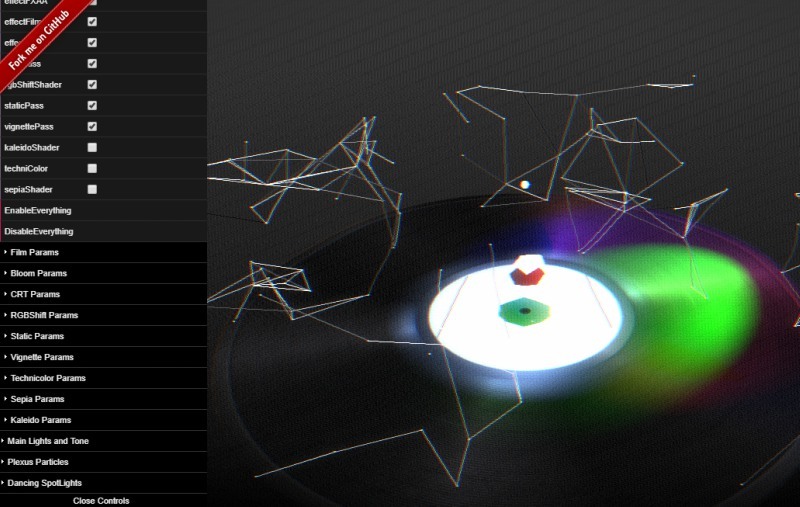 This tool works as a music visualizer that produces various effects based on a beat. You can tweak its various settings such as the shaders, post process, particle effects, and spotlights. Within those general categories are other subcategories that you can explore. so you can customize the effects thoroughly. This experiment works best on Google Chrome. Learn more about the shader tool here.